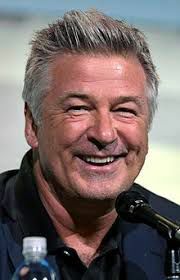 Alec Baldwin seems to relish getting under President Donald Trump’s skin. The actor, who plays the commander-in-chief as a swirly-haired buffoon on “Saturday Night Live,” on Monday mulled running against Trump, asking on Twitter whether his 1 million followers would vote for him. Despite Baldwin’s assuredness about Trump’s certain defeat, the actor has cried wolf about running for office for years. Baldwin floated the idea in 2006, telling the New York Times that being governor of New York would suit his fancy. He then toyed with the idea of running for mayor of New York but announced in 2011 that his work on “30 Rock” got in the way. Since then, Baldwin has expressed his intentions to hold political office but has never entered into any races. Could 2020 finally be it? “How many Baldwins in your Cabinet?” another asked. And plenty of people responded with images of the last person who thought they would handily defeat Trump. A simple GIF of Hillary Clinton shaking her head “no” apparently speaks a thousand words (or 280 characters).